We all know that Avengers: Age Of Ultron almost broke Joss Whedon. Buoyed by the monumental success of The Avengers, Whedon went straight into the sequel expecting things to be just as plain sailing. Sadly, he was wrong, as he found himself at loggerheads with Marvel over certain aspects of the film. 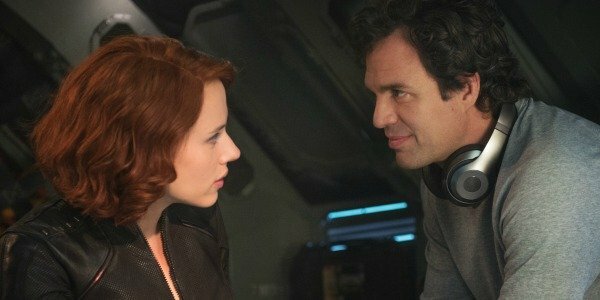 And now Joss Whedon has revealed that Black Widow and Bruce Banner’s romance in Avengers: Age Of Ultron was adversely affected by some specific cuts forced by the studio. The word came down to cut out the ending. Which I understood. They were like, ‘Don't resolve this, leave it in the air, and then we'll solve it later.’ And I understood it, and agree with what they wanted. But I also underestimated, a) the ripple effect, and b) just the fact that it was really wonderful. It plays better if it finishes, it plays better within the movie. There are things later on where [Scarlett Johansson] was playing the kind of fatalistic cool that actually didn’t make sense without the resolve having already happened. The ending of Avengers: Age Of Ultron saw the Hulk inside an auto-piloted quinjet that is unable to be tracked because it’s in stealth mode. Rather than turning this off and then telling S.H.I.E.L.D. exactly where he is, Banner instead shuts off the communication. We later learn that the quinjet landed near Fiji. It will be interesting to see how Marvel progress with Romanoff and Banner’s romance. We next get to see Mark Ruffalo as Banner/Hulk in Thor: Ragnarok, while Scarlett Johansson’s Natasha Romanoff can be seen just next month in Captain America: Civil War. In fact, we’ll probably have to wait all the way until Avengers: Infinity War – Part 1, on May 4, 2018, to see their potential love blossom once again. And no doubt that Joss Whedon will be very interested to see how Marvel decides to develop it.